GCCEM welcomes Fleet Tec customers! We would like to extend a warm welcome to all Fleet Tec clientele. We are honoured Les and Christine have trusted our team to take over Fleet Tec’s operations so that they can enjoy their hard earned retirement. 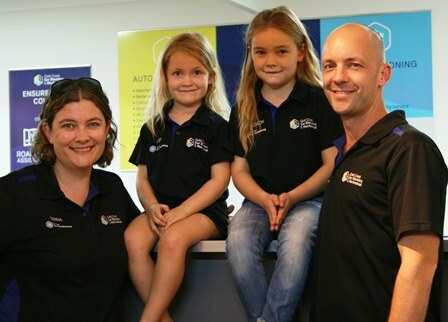 Our family owned business is well established and has been operating on the Gold Coast for over 40 years. We provide Auto Electrical, Mechanical and Air Conditioning services, in one convenient location with experienced tradesmen, great customer facilities and access to a wide range of products. We understand that for many people changing mechanics is difficult but it is our commitment to Les, Christine and you to ensure that both you and your vehicle/s are well taken care of. If you would like to see what some of our clients have to say, please click the link below. If there is anything we can do to help you out, please put your details in below and we will get back to you as quick as we can. Alternatively, feel free to call us in the workshop on 5597 4774. Our team is looking forward to meeting you soon. Click to see what our customers say about us!